Styled with foundation crew v2 . The Janis is a slim, vintage-inspired mini with a slight A-line shape. It’s cut from authentic leather that’s been specially washed and waxed for a lived-in look and feel. It has a breathable cotton-blend lining, shiny exposed hardware and top-stitch detailing. 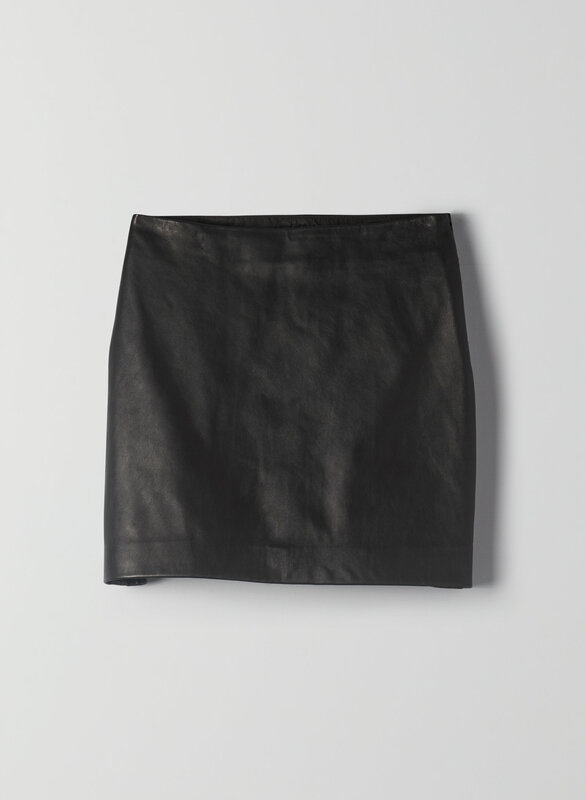 Super cute skirt but definitely tighter than your average skirt. If you have curves make sure to size up. Fits great. I usually wear a 2 in other brands but sized up to a 4 based on how Wilfred products generally fit me. The 4 was perfect.